No one wants to live in pain, nor should anyone have to live in pain. Many pain management treatments simply mask the symptoms, never truly getting to the root of the problem. This only leads to further injury and increased pain. ARP Wave therapy is a new revolutionary holistic form of treatment that not only allows your body to heal itself to eliminate pain, but it addresses the cause of the symptoms and not just the physical symptoms. Contact Dr. Nikesh Seth and the team at Integrated Pain Consultants to get started today. Accelerated Recovery Performance (ARP) Wave uses a proprietary device that relies on neuro therapy to ask why you have pain instead of where. Developed by exercise physiologist Dr. Denis Thompson, ARP Wave therapy helps to locate the origin of the pain or injury, and looks at it, not as a physical breakdown but rather an electrical one. And because it’s “electrical,” more often than not, the source of the pain isn’t even located where you’re actually experiencing issues. Signals are merely getting crossed. Contact one of Integrated Pain Consultants’ three offices to schedule a detailed evaluation – (480) 626-2552 or book your appointment online today. ARP Wave technology utilizes direct current electric muscle stimulation via pads that are placed on your skin. When your body suffers an injury, it is usually due to injured tissue not being able to withstand or absorb force properly, often a result of muscles not being able to be controlled. The ARP Wave device searches your body and determines where the actual breakdown occurred. Once the cause of the injury is discovered, ARP Wave therapy helps to destroy it by stimulating it. This helps to break down scar tissue and relax your muscles which in turn creates better blood flow and circulation. With improved circulation, more blood is able to reach the injury helping to reduce inflammation and speed up recovery. It also helps to tell your brain not to resist and avoid the area of pain known as a compensation pattern. Stopping this pattern is key, in that it allows your body to heal itself by retraining your muscles. What Can ARP Wave Therapy Treat? ARP Wave isn’t like other treatments. It is a quick procedure that offers so much more. ARP Wave requires physical movement, so you should be prepared and dressed to move around. While the therapy device is searching for the origin of pain, you may experience a sensation when the pads are placed on the injury or a hot spot. The degree of pain lets Dr. Seth determine where the real problem is. After your treatment, you may experience physical exhaustion. You will need to ensure that you allow your body to heal properly. This means getting a good night’s rest, eating a healthy diet with a good amount of protein to help build your muscles back up, and avoid alcohol as it can dehydrate your body. 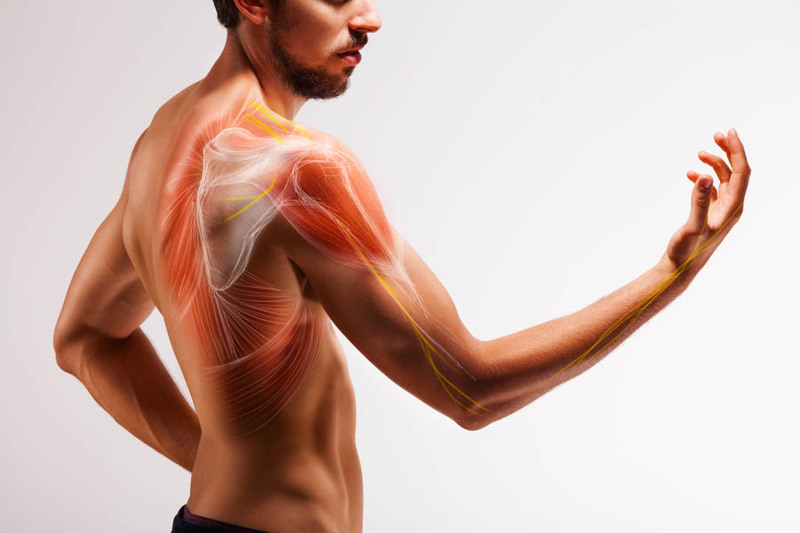 If you’re suffering from chronic back pain, tennis elbow or any other injury that is causing you pain or distress, contact Integrated Pain Consultants and schedule a consultation with one of our expert pain specialists. Dr. Nikesh Seth, along with his amazing team of skilled physicians, including Dr. Anne-Marie Cosijns, Dr. Michael Givens, and Dr. Shawn Saini are here to help you find the relief you deserve. With three offices open in Scottsdale, Mesa, and Phoenix, Arizona, learn why we were voted “Top Doc” by Phoenix Magazine. Call (480) 626-2552.